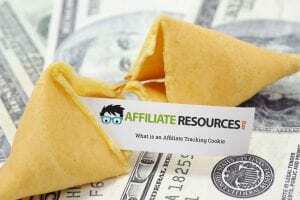 What is an Affiliate Tracking Cookie - Affiliate Resources, Inc.
What exactly is an Affiliate Tracking Cookie? In simplest terms, an affiliate tracking cookie is a file that is created and stored on your visitor’s web browser when they click on one of your affiliate links. Basically, this allows affiliate networks to have the ability to make certain that they can determine where sales have come from. For you, this means that the affiliate network pays you the right amount of commissions for traffic that you send over to their marketplaces. While they’re certainly not as tasty as their bakery counterparts, these little browser morsels help you to make sure that you’re getting paid when someone from your website clicks on a link and buy something or completes an action at the websites for which you’re recommending products.  How Do Affiliate Tracking Cookies Work? Let’s say you’ve written an amazing post talking about a stapler that you picked up at an office supply store. You enjoy the stapler and recommend your audience to give it a shot if they’re in the market for a new one. For the sake of simplicity, let’s say the stapler is available at Amazon. So, you provide your audience with an affiliate link to the stapler on Amazon’s website. The affiliate link that you generate on Amazon creates an affiliate tracking cookie when someone clicks your link that is unique to it. When one of your site visitors clicks on the link on your site, the cookie is created and placed inside of their browser. Now, if they decide to make a purchase within 24 hours, the tracking cookie will make certain that you receive the commission that is owed to you as an Amazon affiliate. While other programs outside of Amazon operate a little bit differently, in general, all affiliate tracking cookies serve the same basic function. How Can You Make Certain You’re Using Affiliate Cookies the Right Way? There’s been quite a bit of media attention recently when it comes to website cookies and the privacy of users. Thankfully, using affiliate cookies is nowhere near as complicated as the media makes it out to be. For example, Amazon requires clear disclosure that you’re part of the Amazon affiliate program and that you earn a commission when people purchase products through your affiliate links. The terms of service for Amazon go on to say you cannot stuff cookies into people’s browsers. What does cookie stuffing mean? Basically it means that you cannot force cookies into your visitor’s browsers unless they specifically click on one of your affiliate links. In the past, some unethical marketers have taken advantage of cookie stuffing practices such as forcing cookies to load into the browsers of their website users immediately upon them landing on the page. This is a practice that is highly shunned by most affiliate networks and should be avoided. All in all, the best practice to using affiliate tracking cookies the right way is to clearly disclose that you are an affiliate for whatever network you’re using and make certain that you’re only using affiliate links that you generate through the network’s link building systems. Now that you understand exactly what affiliate tracking cookies are, and how you should be using them on your websites, here are a few great tips to help you really take your income to the next level with your tracking cookies. While many affiliate marketers will often use affiliate links on their own websites, they often forget to include them in social media posts. It is important for you to realize that some networks do not allow this practice, however many do, and it can be a really great way for you to take your income to a whole new level. If you find yourself involved in a conversation on social media about a product, throw your affiliate link out there. Not only will this allow your audience to get the products and services they need, it also will help you increase your bottom line as others will often share your link with their friends and family as well if they enjoy what you’re recommending. To find out if your affiliate network allows for affiliate tracking cookies and social media posts, just quickly look at their terms of service. Often, this practice is within compliance so long as you are stating that the link is an affiliate link. This one is specific for the Amazon affiliate program, but there are a few other networks with similar options. Did you know that Amazon offers two different time frames when it comes to affiliate tracking cookies? While most people are familiar with the standard 24-hour cookie, Amazon also has a 90-day tracking cookie when someone adds an item to their cart. While you normally want to be giving people the 24-hour cookie, as it allows you to earn additional revenues from other items purchased on Amazon, sometimes it’s more appropriate to share with them the add to cart cookie that will last for 90 days. The best example for this practice is when people are visiting your site on mobile devices. So, if you have a specific mobile version of your website, you may want to consider looking into using the 90-day add to cart cookies available from Amazon instead of the standard 24-hour cookie. Taking advantage of this option can really help you to earn additional revenue as people will often return to their cart on their desktop computer later after finding a product they wish to purchase on their cell phone earlier in the day. For example, Amazon does not allow you to share affiliate links inside of e-books or emails, however many networks do allow this practice and it can be an amazing way for you to generate additional commissions with your tracking cookies. Let’s say you’ve created an ebook that goes over 50 great ways to landscape your yard. While Amazon doesn’t allow you to include affiliate links, perhaps Home Depot, Lowe’s, or another similar retailer does. If you’re talking about great landscaping stone and want to throw in an affiliate link inside of the e-book, it could be a great way to generate earnings inside of a free resource that you’re giving a way to your audience. Again, to know which networks would allow you to share affiliate links in this manner, you must read their individual terms of service and affiliate cookie use requirements. As you can see above, affiliate tracking cookies sound a lot more complicated than they really are. They mainly serve as a way for affiliate networks to track your links and ensure that you are receiving commissions for customers who come to their sites from your website, social networks, email lists, and other forms of traffic that you generate. When it comes to using them in the right way, just make certain your reading the terms of service provided by your affiliate network. By doing this, you can make certain that you stay within compliance and possibly even find some great additional ways to generate traffic to your affiliate links and increase your earnings substantially by doing so. It sure helps to increase understanding of cookies. I run a malware program weekly that removes all cookies. Looks like I should rethink that? I think your process of running malware is fine as this doesn’t affect any affiliate links that you may share within your own website.